Choose one — - Destroy target artifact. - Put target creature on the bottom of its owner's library. - Counter target instant spell. Wow, you have been very active, that's nice! Slaughter the Strong is a great card and would fit perfectly in the deck, I'm thinking about it since it was in the spoilers for RXN and I have it already at home. I'm currently observing my playgroup if I should add it or not. When I brew this deck I also stumbled upon Noetic Scales but since I mostly have 4+ cards in hand it won't do much for me. Same for Ensnaring Bridge . Bant Charm is really great for a charm, but I think it is too hard to keep thre different mana symbols open into other player's turns. This limits us too much in playing stuff in our turn. Aura Shards is awesome, espacially since enchantment decks are increasing lately. I'll se if I can get my hands on one. Like HobbyGamer007 said, Wall of Deceit is a 2 drop 5/5. There aren't any better defenders mana/toughness wise, yet. We can simply ignore all it's other abilities. Dawn is the best part from Dusk . Like HobbyGamer007 said, it destroys our commander and there are better cards. 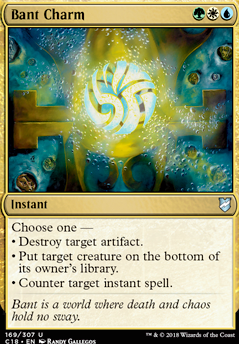 Silence look good at first, but you are only slowing an opponent down for a turn, where counterspells and removal spell let you react directly to a threat. Why won't Fell the Mighty deal with little creatures or vampires? You should target one of your defenders with 0 strength. I don't like supporting my opponents, that's why I don't run Wall of Shards . Same goes for Arcane Denial . Thing in the Ice Flip could become very bad btw.! You should always watch your spells, because your opponents will :D Could be fun in certain situations and somehow manageable, but it can add a chaos factor I don't like. Well, these are my opinions, thanks for suggesting so much cool stuff and always commenting on here. I really enjoy brewing this deck with you guys and I hope you are all successful with your decks! 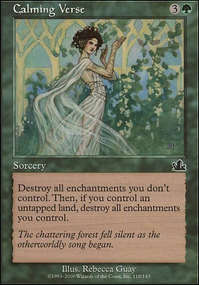 Vlasiax - All of the effects of Bant Charm are available throughout the deck with 1cmc cards. Noxious Revival , Nature's Claim are more efficient, as are the counter spells. 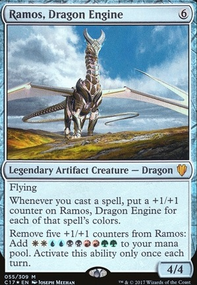 Having the options available is nice but at the coast of 3, the card is heavy and limited in a combo-oriented build. Dusk I might have to toss that in for Karn Liberated . 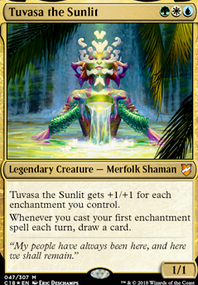 We should always have 3 of the mana out cause we need our commander out. So Bant Charm is a good clearing out card etc but commander a the bottom etc .. something nasty. 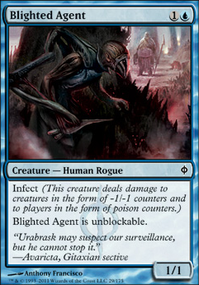 Slaughter the Strong is amazing and I use it myself, same thing with Dusk , which also can reanimate some walls. 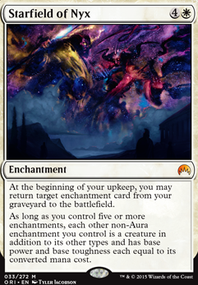 Bant Charm looks good as it has ALL modes useful, which is rare for charms to be that good. 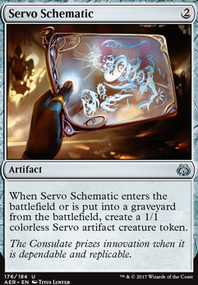 The only thing that makes me not put it immediately in my deck is its cost - 3 colored mana is tough requirement even with dorks and mana walls. Okay so in my deck I have these added just a thought and we can brew more.